Question: How could you provide food and water for your family in the event of a long-term disaster? Answer: by planning carefully and stockpiling nutrition and hydration ahead of time. If you're living on a very tight budget and wonder how you could possibly afford to buy these supplies, just know it can and should be done! Just do it gradually, as you can afford it. Look at it as an investment in your family's health and safety. You'll never regret it. This section is focused on the storage of survival food and water in your home. Suggestions for putting together a light-weight 72-hour food pack if you are forced from your home can be found here: Emergency Survival Kits. All about water purification here. Choose foods that store well, are high-calorie and nutritious, and that your family likes. For the bulk of your supply, choose foods that don't require refrigeration, water, special preparation, or cooking. 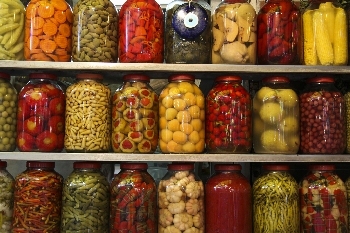 Try your hand at canning your own veggies, fruits and meat for emergency use. Just make sure to read up on the process and follow all food-safety guidelines. Grow your own pesticide-free, super-nutritious veggies in an off-the-grid Survival Greenhouse. Stock up on well-packaged Survival Seeds. Freeze-dried or dehydrated foods are light-weight and store well. You can buy already prepared freeze-dried meals and bulk foods that are packaged so well they can last up to 25 years! (See next Section). Dehydrate your own foods and vacuum-pack them. We have an Excalibur Dehydrator and love it. Include some basic spices in your kit to add some pizzazz to emergency food meals. Keep a manual can opener with the stash. All about Water Storage below. We spent quite a bit of time evaluating and deciding on the best survival food stash for our family. You may decide to preserve and store your own nutrition, or go with commercially prepared foods. 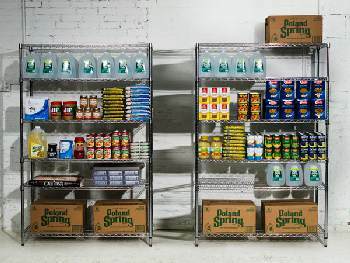 We decided on a pantry well-stocked with a combination of canned and packaged foods, as well as commercial freeze-dried foods in bins from My Patriot Supply and Augason Farms. 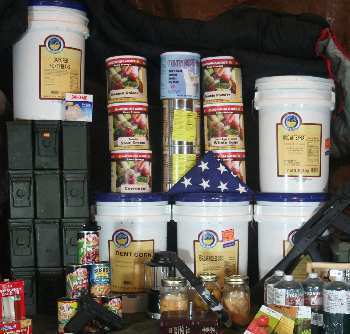 Prepared survival foods have the advantage of superior packaging and an impressive shelf-life of up to 25 years. Most companies offer specialty diet foods like vegetarian, gluten-free, lactose-free and soy-free. Our best advice is for you explore their websites and to purchase small samples from each company. Then prepare and eat them. The best tasting foods win! Or you might stock up on packs from 2 or 3 different companies to ensure variety in your survival food stores. 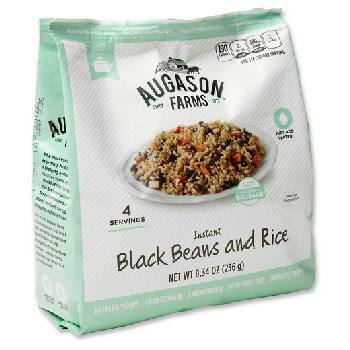 Sample their foods with Instant Black Beans and Rice Pack, 4 servings; or with the 72-hour 4-Person Emergency pail. 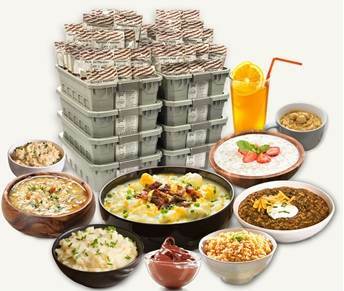 Deluxe Emergency 1-Year Food & Water Bundle (4 Person) $3K-5K range. Waterproof pails, each providing plenty of great-tasting, nutritious and easy-to-prepare food plus a complete water storage and filtration system for 4 people for a full year. Mountain House has been providing MREs (Meals Ready to Eat) for US Armed Forces for over 50 years. The leader in sales of freeze-dried survival foods for years, Mountain House has a "Taste Guarantee". Beef Stroganoff with Noodles Single Pack- great to sample the goods. 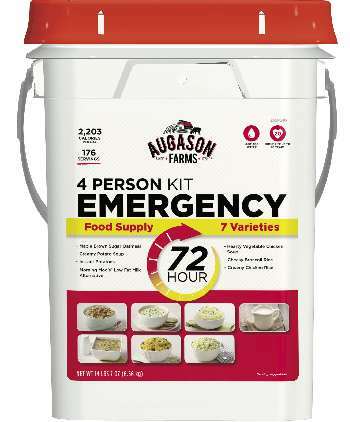 Just in Case...® 14 Day Emergency Food Supply for one. Sample these foods by purchasing the 72-Hour Kit - Sample Pack. 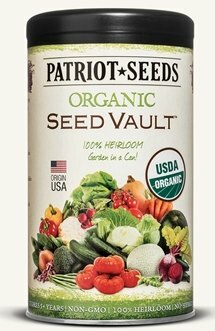 Make room in your Survival Food Storage for well-packaged survival vegetable seeds. These may be more valuable than gold one day... Plant them for food or use for barter! 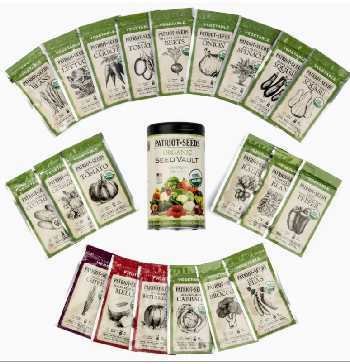 Features 21 different organic heirloom seed varieties carefully packaged to retain peak germination for years to come, but priced to use today. Buy 3 and save! Set aside a cool, dry spot for long-term food storage (preferably dark, too). 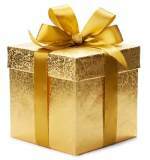 Check expiration dates, mark this clearly on all packages with a marker. Newer foods go to the back, older to the front. Use and replace with fresh supplies on a regular basis so that you always have a usable stash of food. 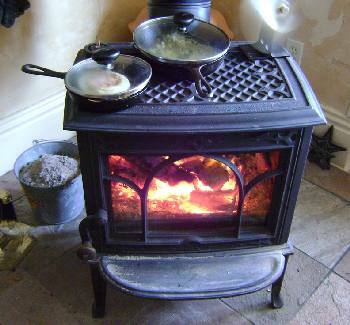 Cook indoors with your fireplace or woodstove. A charcoal or propane grill or camp stove can be used outdoors. 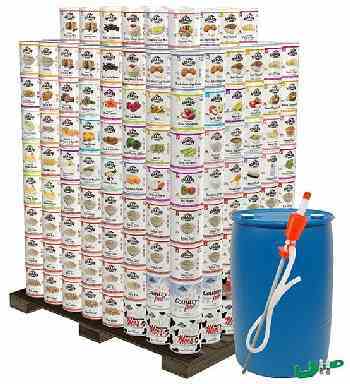 In an emergency, canned food can be cooked and served right from the can. Make sure you remove the label and lid before heating. Never skimp on water supplies! It is the most important essential and should never be rationed. Store enough water for drinking, hygiene and cooking. Plan on a minimum of a half-gallon per day per person for drinking; plus a half-gallon for other uses. 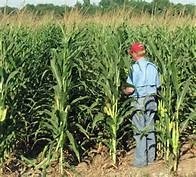 Stockpile a gallon per person per day X 2 weeks (or 14 gallons per person). 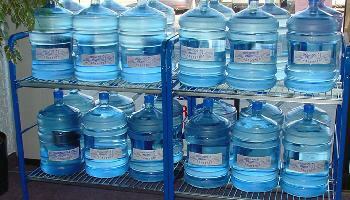 Easiest and safest way to store potable water is by buying commercially bottled water. It is well-sealed and should not be opened until ready to use. Emergency water of uncertain quality should be treated before using. See Water Purification for some safe ways to do this. Getting Emergency Water from your own land.